Gatwick Golf Studio Gift Vouchers are now available in £30, £50 and £100 denominations. The recipient can use the voucher to shop for any of the services provided online or in person at the studio. PLEASE NOTE: To send the Gift Voucher to an alternative address click ‘Change’ under ‘Post to:’ on the Paypal ‘Review your payment’ page and add an additional address. You can also add a personalised message using ‘Add gift options’. To complete the purchase without a Paypal Account, click “Pay with a debit or credit card” at the Paypal login page. 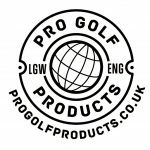 We retail high end bespoke and customised products in partnership with progolfproducts.co.uk please visit the site to view our substantial range of products. Occasionally we buy and sell Tour issue golf products. Check back frequently to see what unique Tour issue equipment we have on offer. These are the best of the best that manufacturers have to offer, and are designed with a single purpose – to be used in competition by European Tour Pros.